Right from the time we started to think of coloring, the water colors were our best choice and was easy to handle with more colors giving more fun. Water color is the master medium that brings the magical beauty in every stroke. Are you really bored with the usual home decors? Then try something new. Check out these hypnotic decors that would create fascinating interiors. Unique watercolor wall papers are cool and eye-catching that gives any space an extra special look. These are self-adhesive removable wall papers that add personalized charm to indoors in just few minutes. Stick on to the garden-fresh spring flower to add trendy accents to your loved space. Texture, pattern and the right color of the cushions will bring life to the décor. 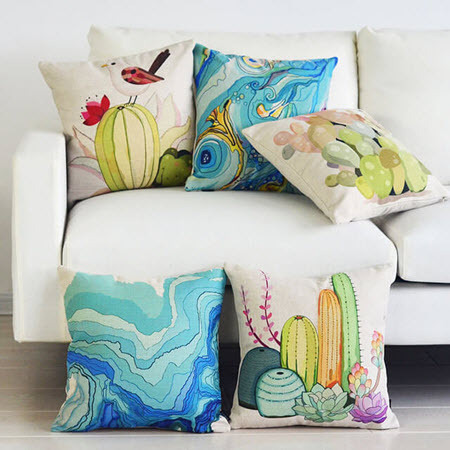 These water color art cushions will bring a refreshing change to dull rooms. Cute, colorful and comfortable soft cushions to add that peppy punch to the décor. 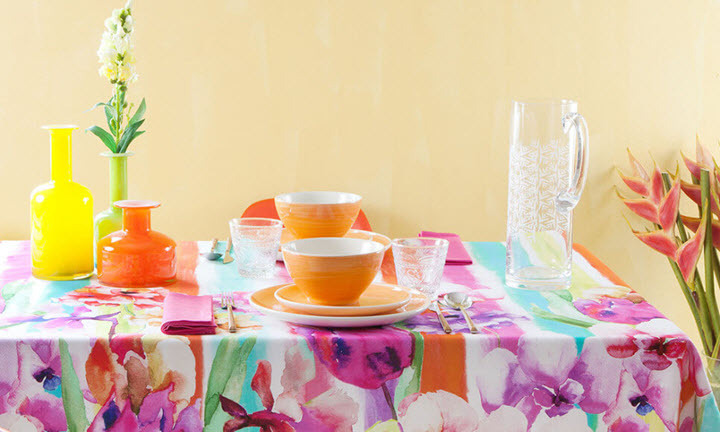 Add a fresh new look to your dining room with the water color table cloth. Colors dominate the present décor trend, so don’t wait to burst with bright colors and fall in love every time you dine in. choose water color inspired decors to add excitement indoors. Colors bring happiness everywhere. The bright water color lampshade looks like a colorful piece of art which is both decorative and functional too. Water color trends can be adapted to any style that remains fresh and cool. 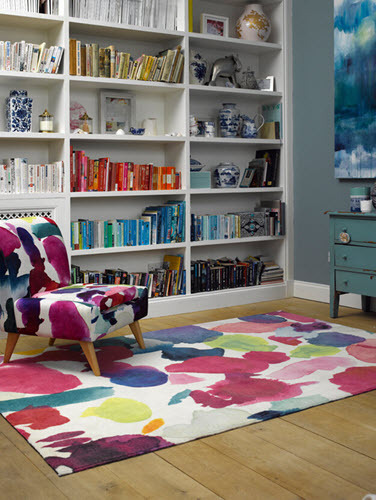 Changing of rugs at home can make a big difference in the rooms. Choose the lovely water color inspired rug design that adds a distinctive character indoors. 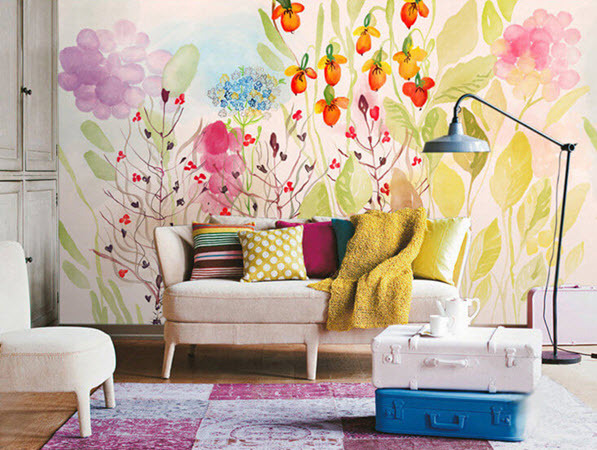 Experiment a wonderful décor change with the colorful artistic additions. Hanging wall clock makes the walls special adding to its beauty for a gorgeous look. 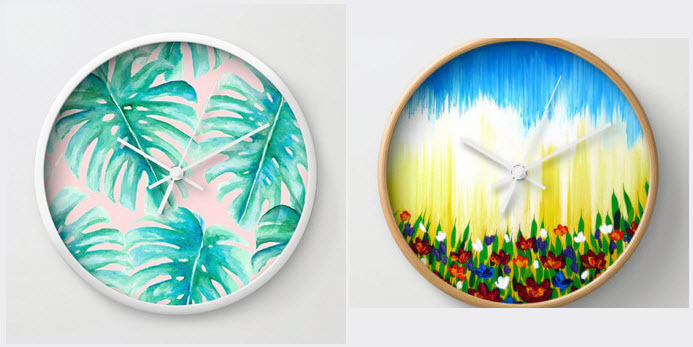 The water color palms clock is the trendy clock that adds a beautiful touch of minimalism to your loved space. Also, makes an amazing gift for special occasions. Wall arts will undoubtedly improve the looks of interiors with a pop of modern touch. 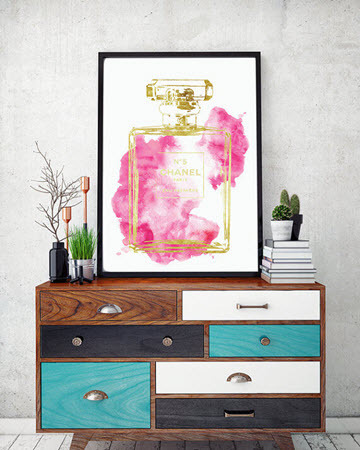 The pink water color digital art with gold effect will make plane walls look stunning. The perfect wall art to charm and create a colorful atmosphere indoors. 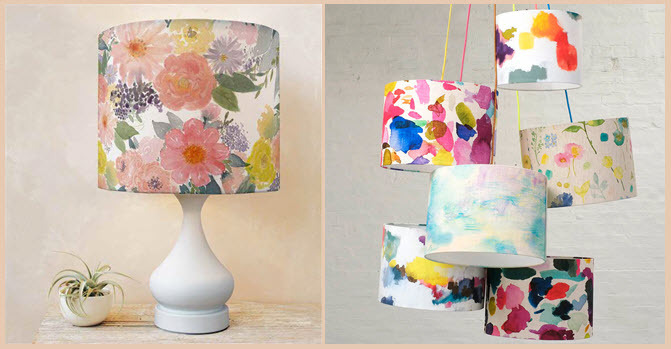 When we think of decors using watercolors, it really sounds unusual. But the marvelous looks will make anyone get addicted to these stunning decors. Just get thrilled with colors and its bold beauty at your sweet home. Unique pics related to the topic is always welcome.